The World's Most Sophisticated Cleansing System totally cleanses the blood, saliva and urinary tract in 7 days. Flush waste and toxins (such as cocaine, THC, marijuana, meth, alcohol, nicotine, and other pollutants) from your whole body at a steady pace and meet the future with no worries. Herbal Clean's Premium Detox is designed for those who desire total body purity. Natural ingredients and vitamins provide a real boost and speed up the rejuvenation processes. 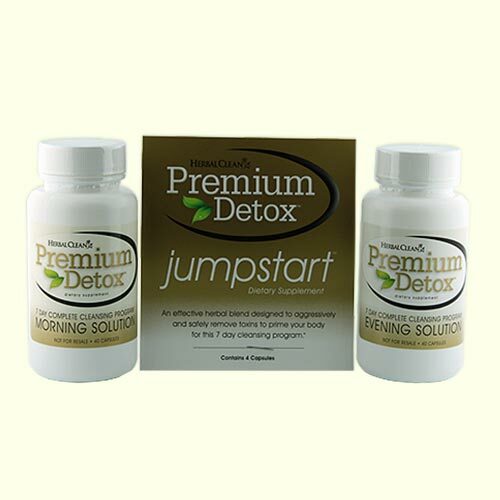 Premium Detox includes a comprehensive 7-day Lifestyle Management Plan formulated by a team of nutritionists to dramatically enhance health and wellness through detoxification. Herbal Clean Premium Detox also includes an exclusive 1-hour Emergency Flush®. Each box of Herbal Clean consists of 3 sets of capsules: a morning set, an evening set and an exclusive Jump Start that can be used as a 1-hour Emergency Flush. Usage instructions, nutrition, and meal plans and general health and wellness information are included.